Happy Mother’s day to all you wonderful crafty moms out there! It was a bit ironic, that this weekend’s project is a kids Time Out chair, but my daughter is about to turn 2 in two weeks and my husband and I want to start using the little chair as a learning tool and why not learn in style? I have to say this craft was a bit of a challenge for me, mostly because I wasn’t sure how I wanted to make the chair. 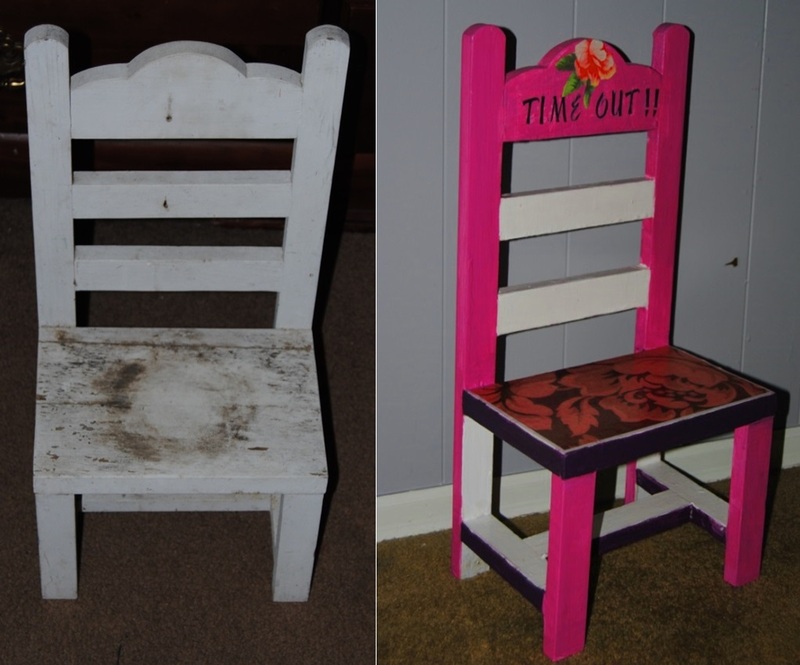 Looking back I may have done the chair a little differently as I am not a 100% happy on how it turned out. I think the color scheme could have been a bit better and I am not sure I would have used flowers if I had it to do all over again. I try not to get discouraged if something doesn’t turn out exactly as planned. After all without mistakes what can we learn from?